We've had quite a few updates to our most popular category. If you haven't heard yet, we've added a fashion sunglass mix featuring two new high fashion brands. If you've done sunglasses in the past, this new mix is a great way to keep it fresh for your upcoming events. 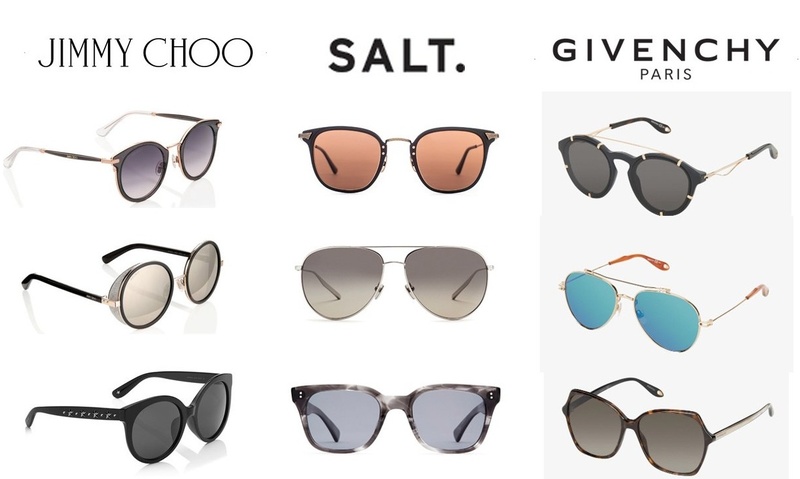 Featuring three brands: Jimmy Choo, Givenchy, and SALT., our new fashion mix is perfect for a wide variety of individuals. For those looking to amp up their style with daring frames, tinted lenses, and bright colors, Jimmy Choo and Givenchy are the brands to choose from. These brands bring a little extra value as they're brands your attendees probably wouldn't go out and purchase for themselves, but would love to own. They're more fashion-forward and bring a bold element to an individual's personal style, making them a gift attendees are sure to never forget. We understand that high fashion isn't for everyone which is why we've added SALT. sunglasses to the mix. We've launched our brand partnership with SALT. back in June and we've found that they pair effortlessly with the other two high-end style brands. A premium eyewear brand that is dedicated to timeless style and effortless beauty, SALT. stands in for attendees who are looking for a more classic, laid back style while still receiving premium quality. You'll get it right every time with this mix, no matter your group demographics. Take a look!